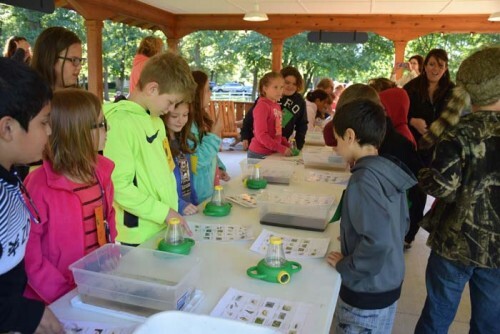 SYRACUSE — Wawasee Area Conservancy Foundation members and volunteers helped make science a lot more fun during a three-day event at the education center on SR 13. 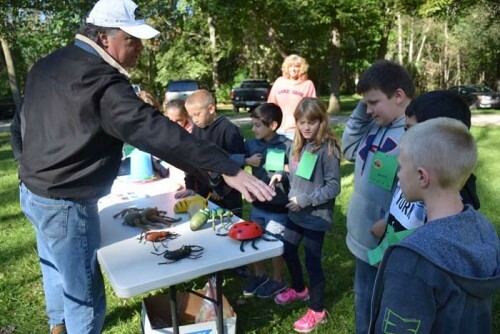 Syracuse Elementary School fourth-grade students attended Bug Fest 2015 Monday, Sept. 14, from 9 to 11:15 a.m. or 12:15 to 2:45 p.m. The classes were split into groups and paired against each other in five different interactive stations, each one teaching the students something new about the science they are currently studying. 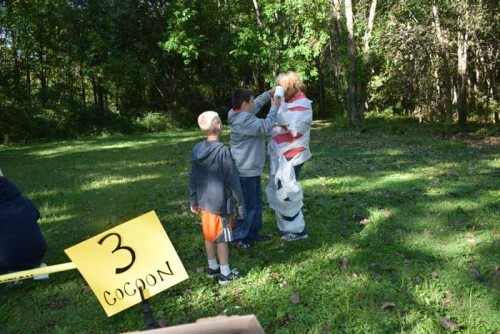 Pam Schumm, retired high school biology teacher, helped create the event and set up each of the fun games. SES students hopped off the bus on the sunny morning and joined in a discussion with Schumm about watersheds, lakes and pollution. 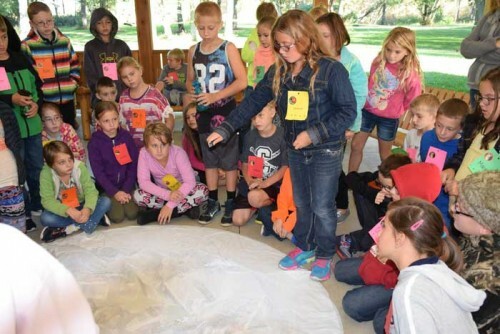 Students used newspaper and vinyl sheets to show how pollutants like oil, toxic waste, soaps, dirt and even animal feces can be harmful to natural water areas. Students simulated rainstorms and created small lakes which collected runoff from each of the various pollutants, represented by food coloring or other non-toxic food items. 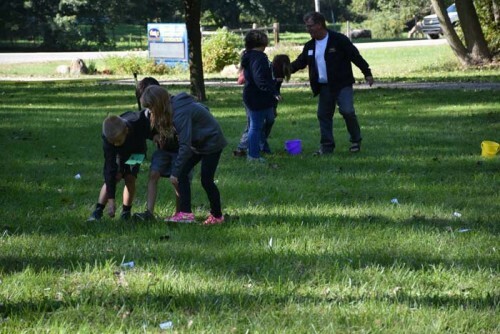 Schumm also walked students through a typical lake pollution situation, having students add items like plastic or Styrofoam to the once clean water. Students practiced creating cocoons with their classmates. From there, students were split into groups and sent off to the five fun stations. 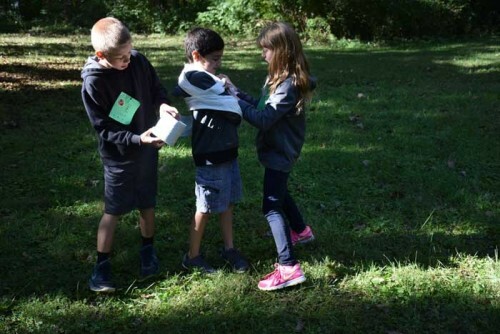 In “Macro-invertebrate Mayhem” students played the part of various bugs that were scavenging for food and attempting to avoid those playing the role of pollutants. 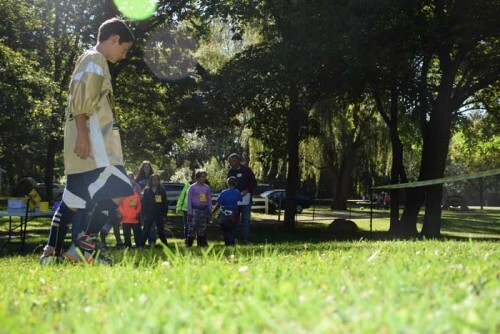 During the “Six-legged Race” students grouped in three to create a six-legged organism, collecting other paper insects in the field. 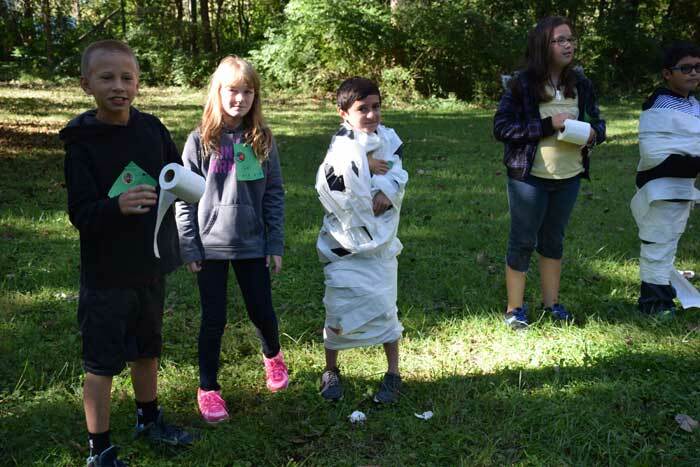 In the “Cocoon Challenge” students selected four representatives to become cocoons, made from rolls of toilet paper. The education center was filled with laughter as children wrapped up their classmates in toilet paper, winning prizes for best cocoon at the end. 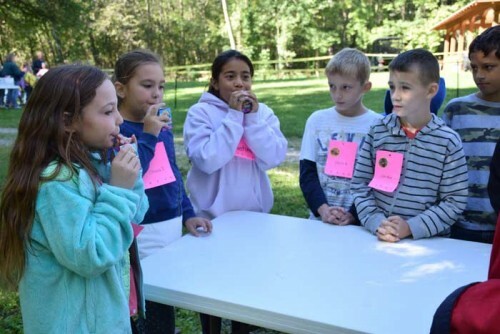 The “Bug Juice Challenge” allowed students to enjoy a juice box, but were encouraged to sip it as fast as possible. The straw represented a proboscis, a special mouthpart on some bugs that is used for eating. The fruity nectar was a crowd favorite. 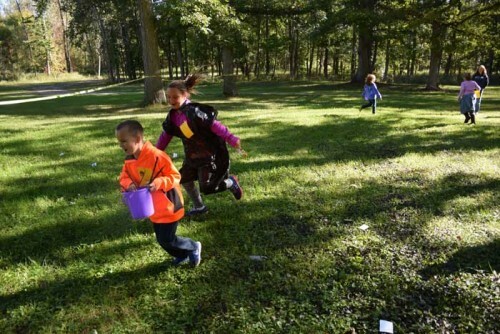 Children hunted for “Camo Caterpillars” at one station, getting low to the ground and moving slow to find one of three different types of colored caterpillars, represented by uncooked rotini noodles. 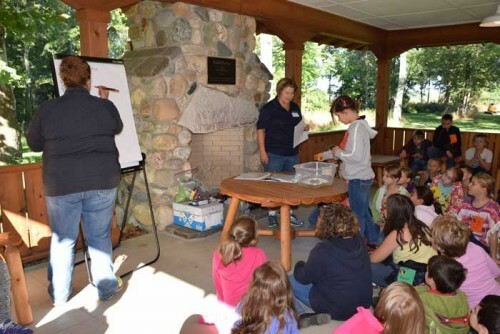 After the games were over, students gathered back at the Ruddell Pavilion to discuss their results and work on a writing activity provided by the center. North Webster Elementary School and Milford School will also participate in this event. Students wrapped up their fellow classmates for this cocoon practice. Students filled the simulated mountains and lakes with food coloring, oil and other non-toxic food items that represented pollutants. 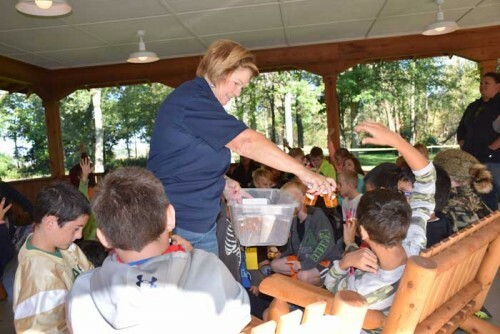 Pam Schumm hands out various pollutants to children to add to the clean lake water contained in a tub. A WACF volunteer explained the rules for each station. 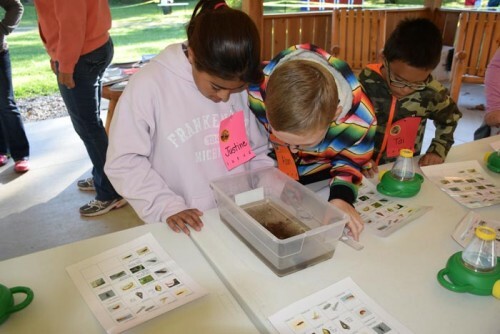 Students examined organisms in their natural habitat — water. Students practiced identifying the bugs in each tub of water. Fourth-graders hunted for colorful rotini noodles representing caterpillars. Pam Schumm had students add various pollutants to clean water to show how easily it can become murky. Students took part in a juice box drinking race. 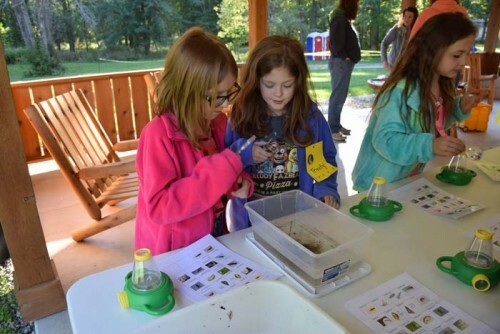 Students playing the role of bugs ran from students playing the role of pollutants during Bug Fest. 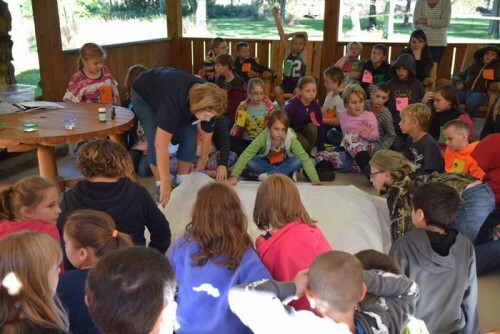 Each fourth-grader could examine bugs up close with magnifying glasses. 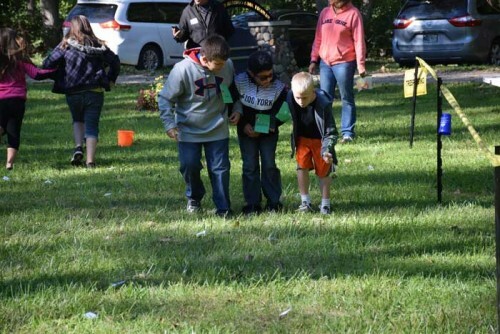 In groups of three, students played the role of arthropods and hunted for fellow insects. Even parents took part in the Bug Fest fun. Pam Schumm created a representation of mountains and lakes with the help of students and newspapers. A group of three hunted for paper bugs.